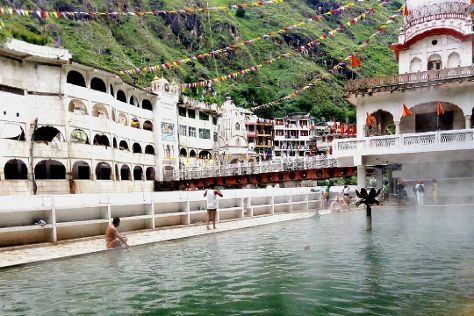 Satisfy your inner culture vulture at Hidimba Devi Temple and Manikaran Gurudwara. Step out of the city life by going to Solang Valley and Beas River. When in Manali, make a side trip to see Naggar Castle in Naggar, approximately 1h 10 min away. There's still lots to do: soothe aching muscles at some of the top local wellness centers, tour the pleasant surroundings at Solang Nullah, contemplate in the serene atmosphere at Anjani Mahadev, and take some stellar pictures from Gulaba. To find where to stay, traveler tips, maps, and more tourist information, read Manali planning app . Cap off your sightseeing on the 19th (Sat) early enough to travel back home.